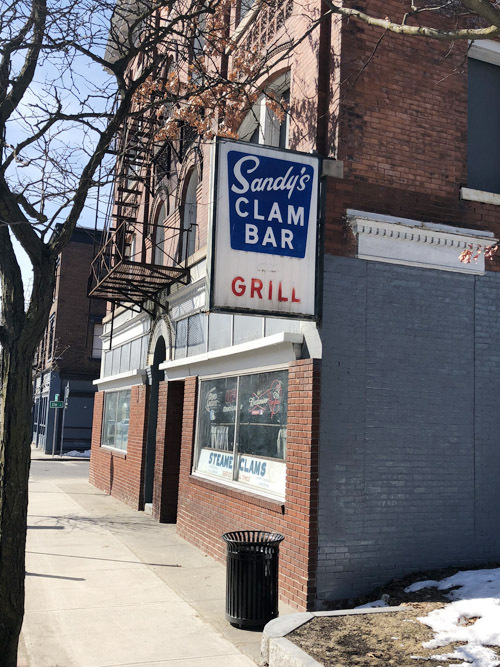 Chronicle News Editor Gordon Woodworth writes: Saratoga-based developer Sonny Bonacio, who built the $26-million mixed-use project called 14 Hudson in downtown Glens Falls, purchased the former Sandy’s Building at 41 South Street for $305,000. Listing agent Mark Levack of Levack Real Estate said the closing was Monday. The 9,300-square-foot building was last listed for $450,000. The restaurant called [farmacy] opened on Tuesday, April 2, at 22 Ridge Street. It’s open for dinner only, Monday through Saturday from 5 to 10 p.m., said its general manager Jon McCormack. Chef-owner is AJ Richards with his wife Christina. They also operate the restaurant [forged] in Hudson Falls. The couple said [farmacy] is a play on words emphasizing preparing, preserving and dispensing local farm products. Info: 518-409-8451. Six months after he rode his bicycle across the United States and back, Robb Freed of Glens Falls is doing it again to continue raising awareness and research money for the rare genetic connective disease epidermolysis bullosa (EB). A “Class Rank Committee” made up of Glens Falls High School teachers, administrators and parents has met twice and will meet again on Monday, April 29, at 3:15 p.m. in the high school library to “explore the current practices at GFHS regarding Class rank,” according to meeting materials obtained by The Chronicle. The Glen at Hiland Meadows in Queensbury plans to add 30 units of assisted living memory care housing, a wellness center with an indoor pool, and larger independent living apartments. “The Memory Care Center will be a separate building with a different design,” said executive director Andrea Hebert when contacted by The Chronicle.